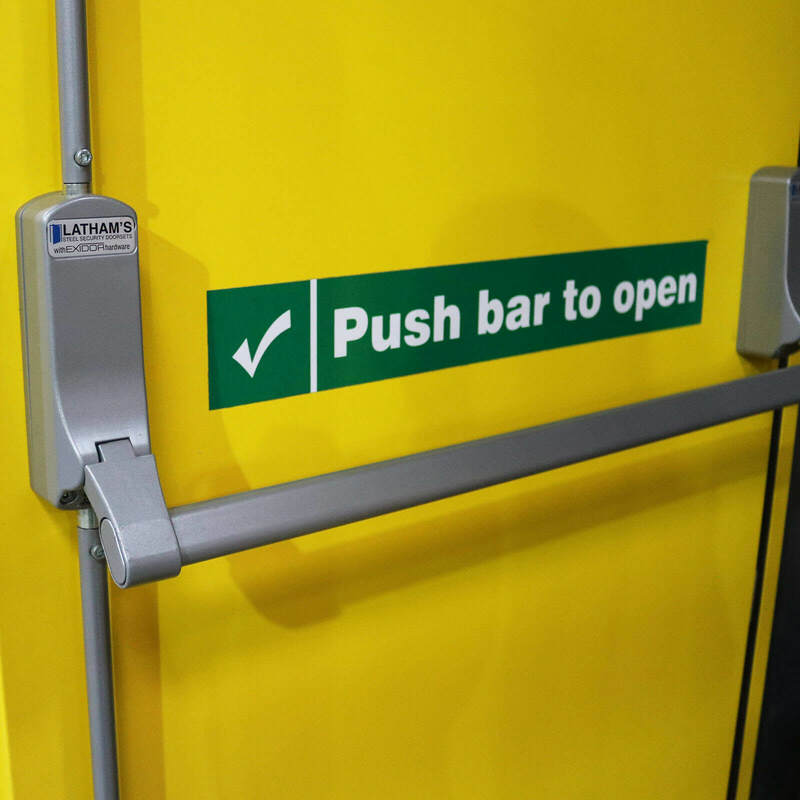 Compared to our Budget Fire Exit Door, our External Security Fire Exit Door is fitted with an Exidor 294 adjustable 2 point security emergency exit push bar. 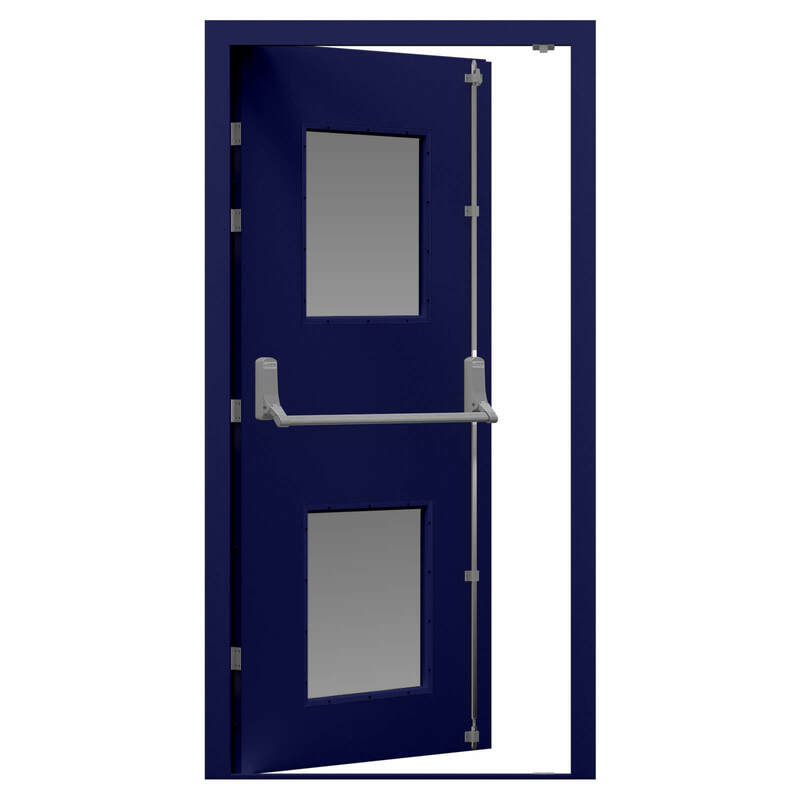 It’s manufactured from thicker gauge steel and has an extra hinge. 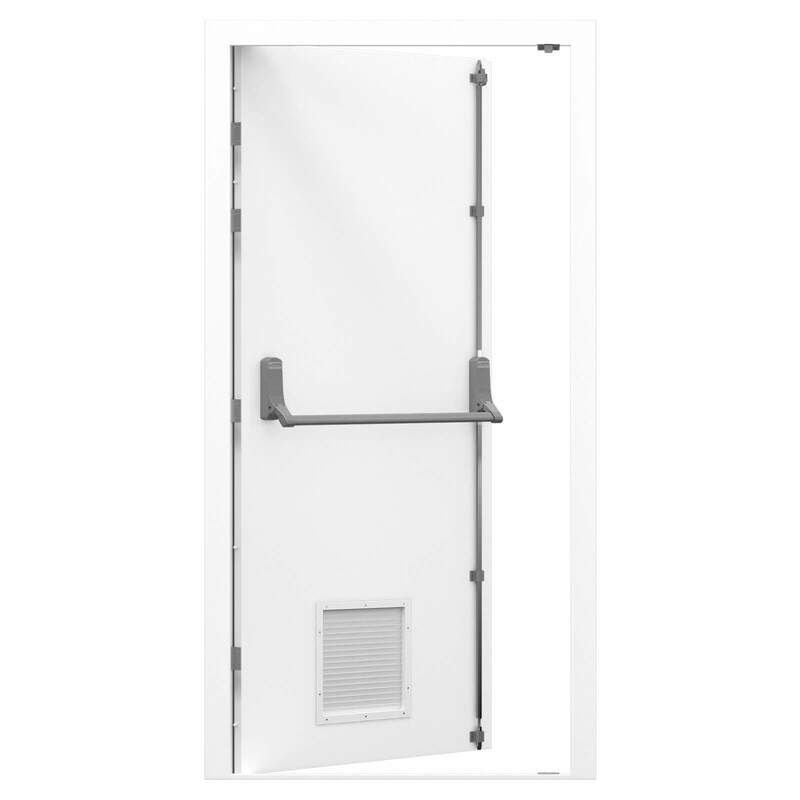 Our security fire exit doors come with a flush external face. 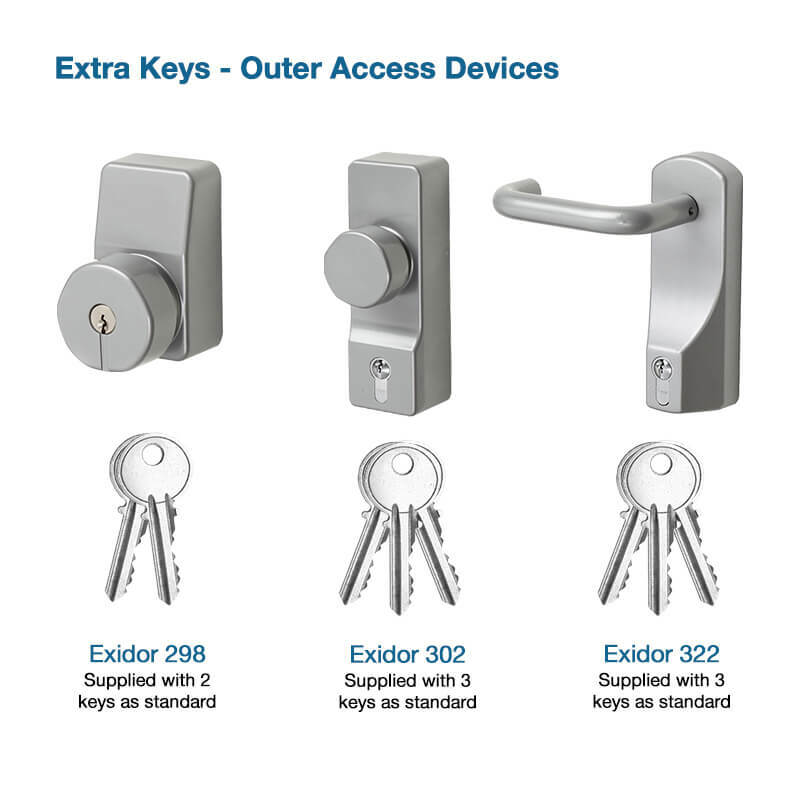 We offer a range of Exidor outside access devices if you need to use the fire escape door as an entrance too. 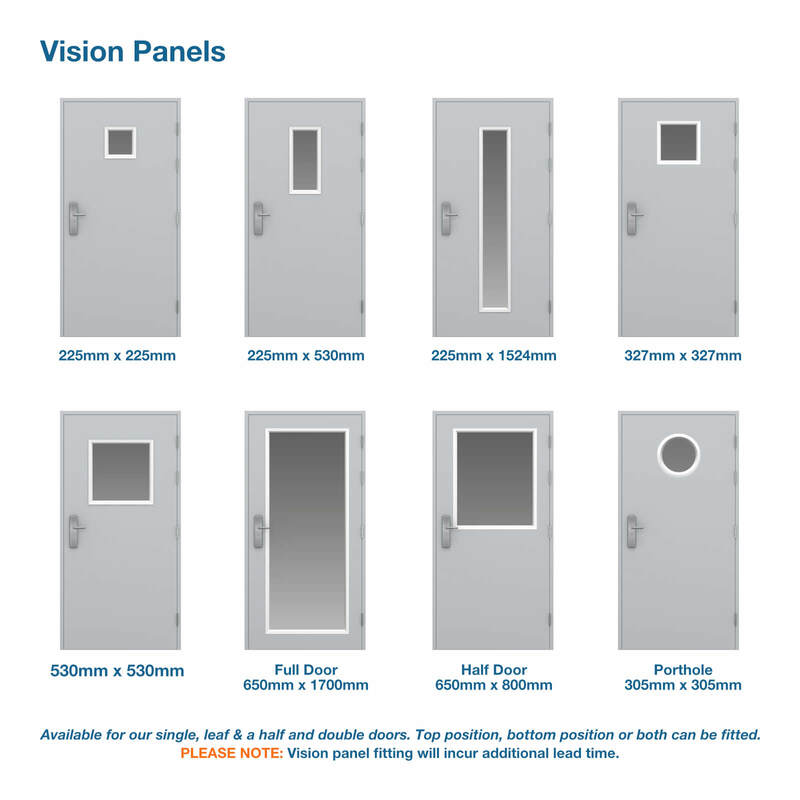 PLEASE NOTE: some options are pre-selected by default, recommended to aid installation. 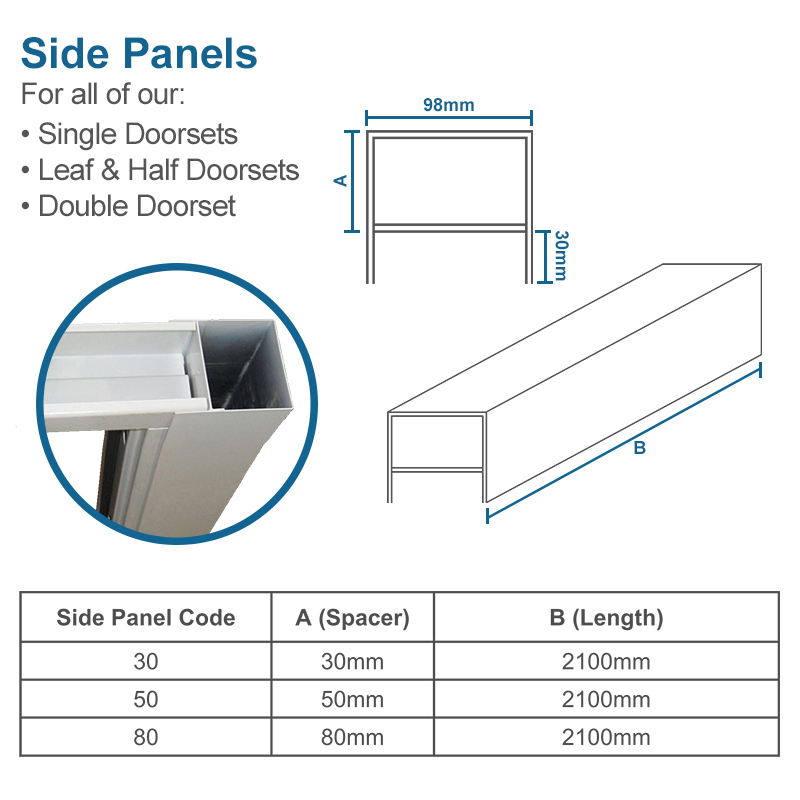 As your order includes a manufacturing service, there is additional lead time. 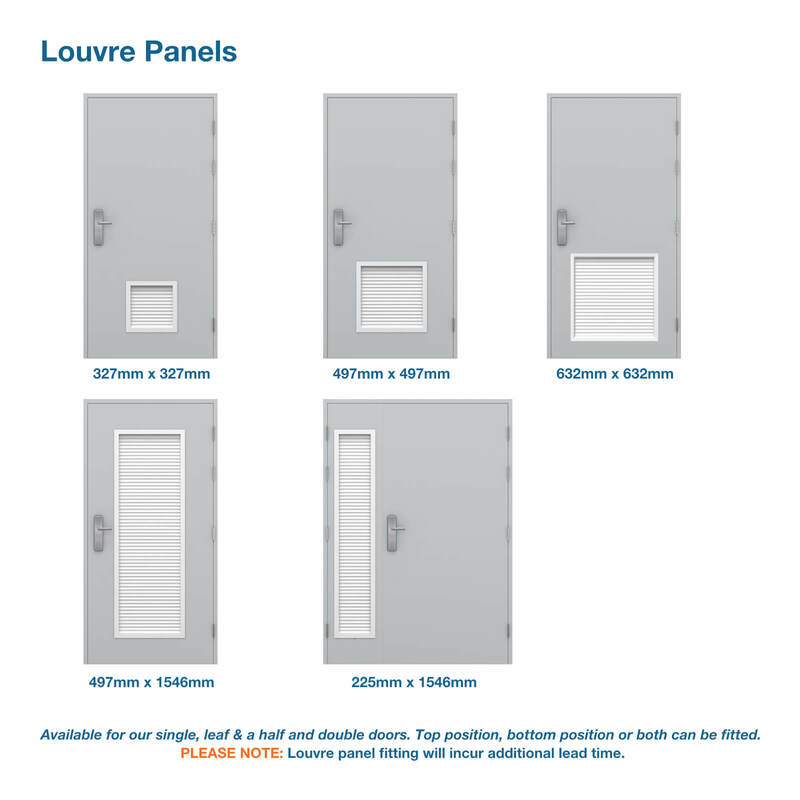 Ordering cut of time is 12pm for fast track orders. 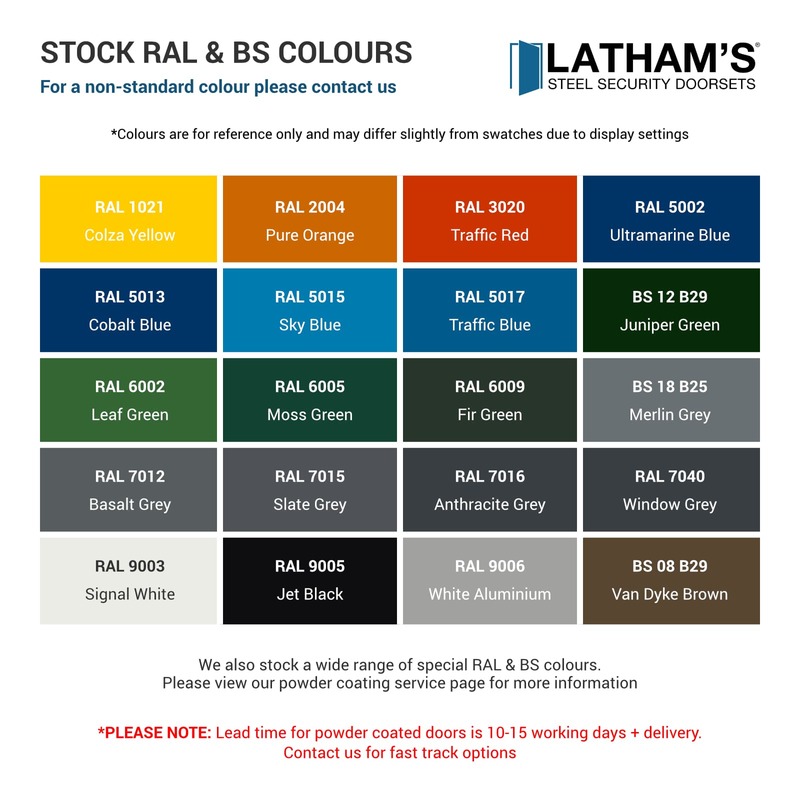 If you need it faster please contact us. 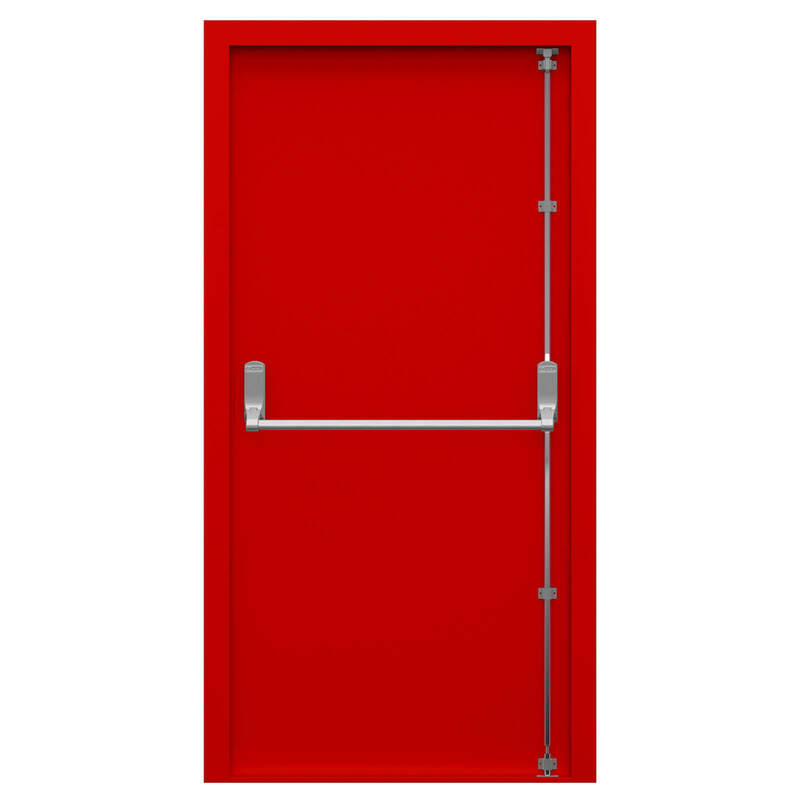 Manufactured from thicker gauge steel, featuring an extra hinge and a 2 point security push bar mechanism, our fire escape doors are a great option for an affordable security fire exit door. 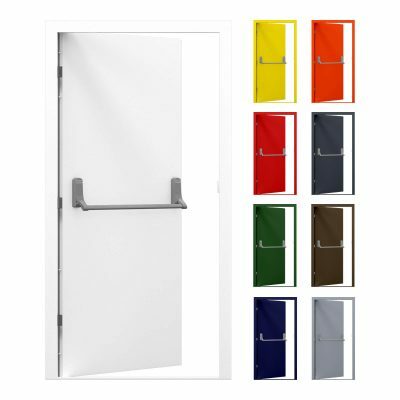 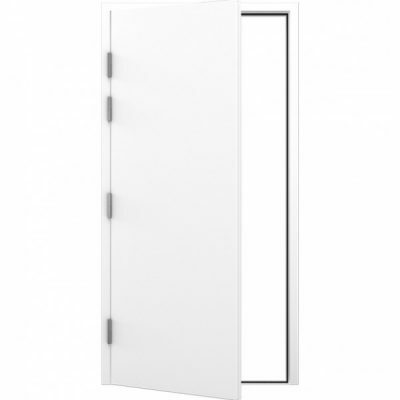 Powder coated in white (RAL 9003) from stock our doors can be customised to almost any colour to provide a bold, attention grabbing door, ensuring maximum safety. 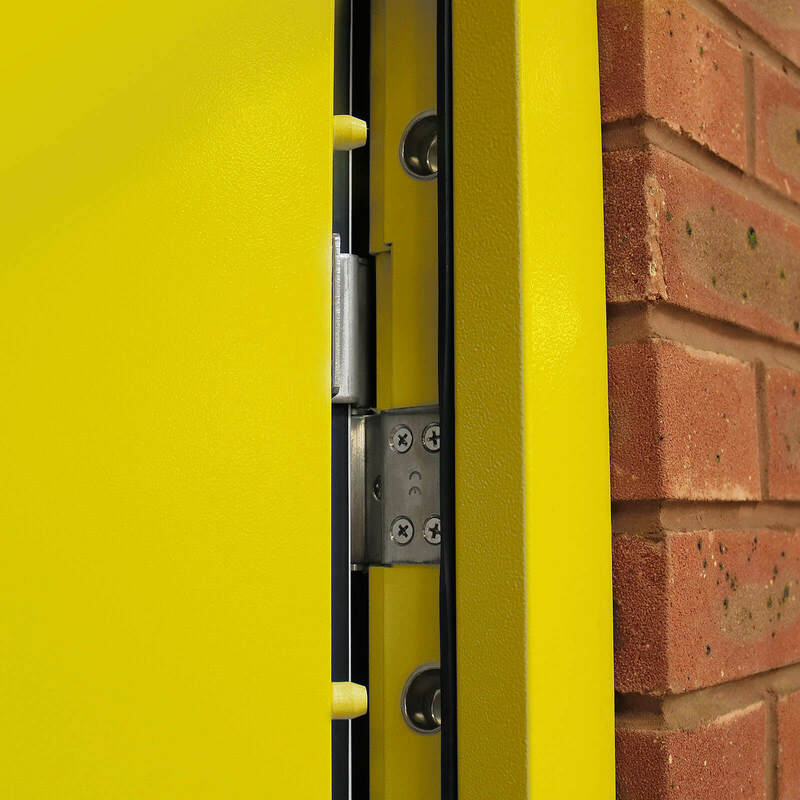 Previous customers have opted for Canary Yellow and Traffic Red so that their door stands out during an emergency. 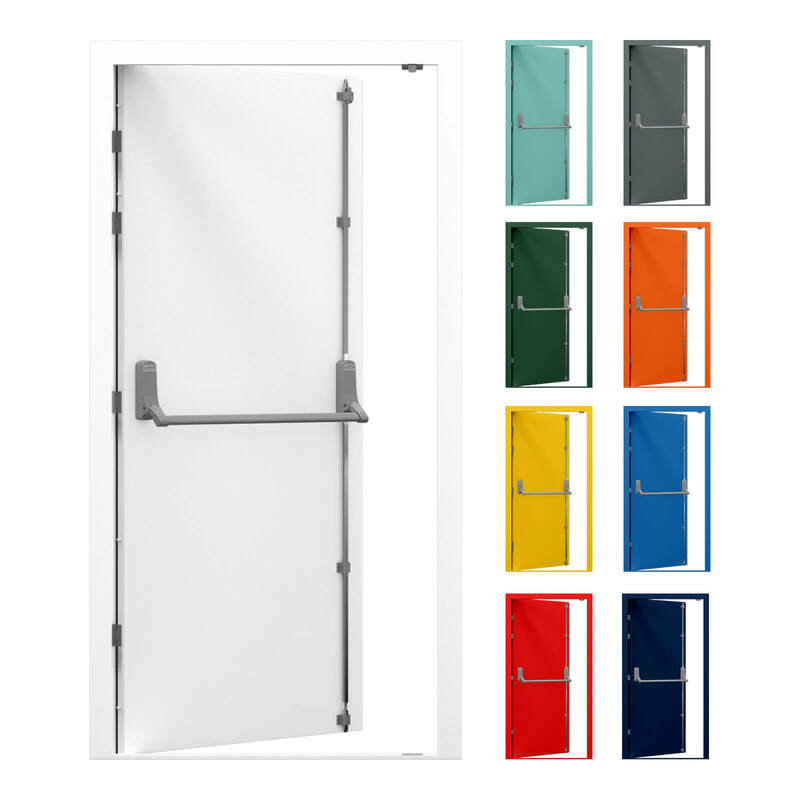 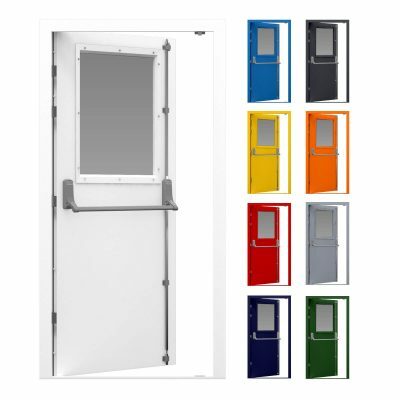 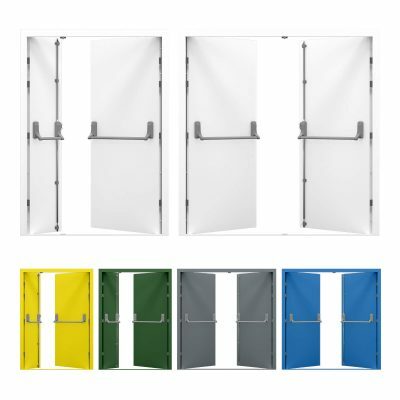 This emergency exit door is secured with 4 stainless steel heavy duty lift-off hinges and 4 dog bolts along with an Exidor 294a 2-point security push bar with adjustable shoot bolts ensuring both safety and security. 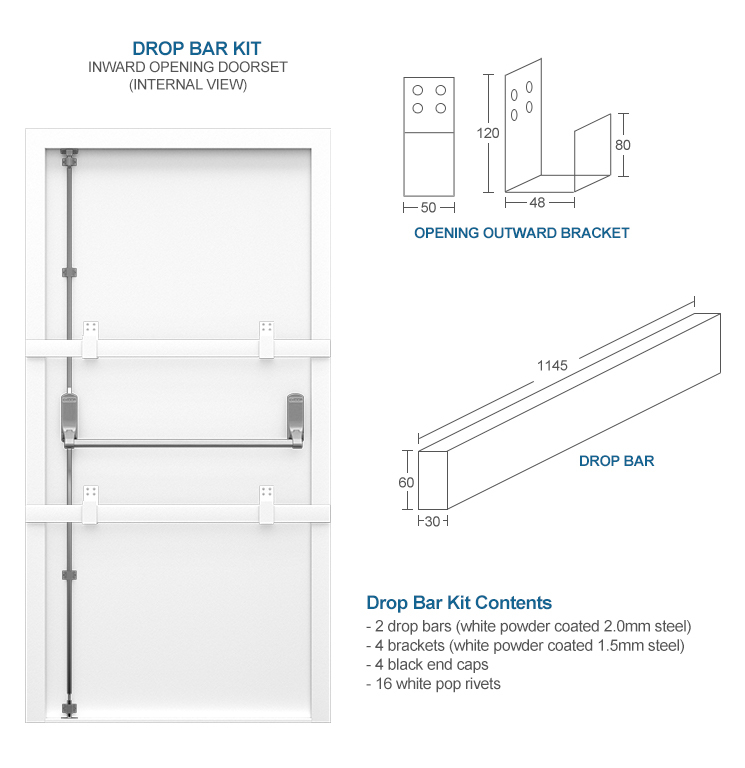 Fitted with weather and draught proof seals as standard, our security fire escape door is built to withstand the elements ensuring longevity of your purchase. 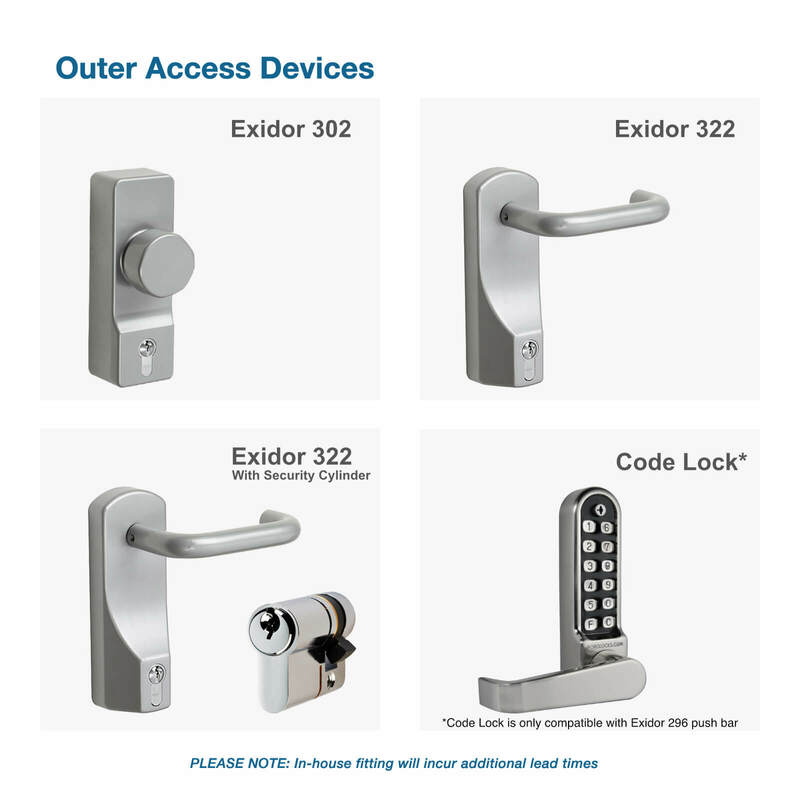 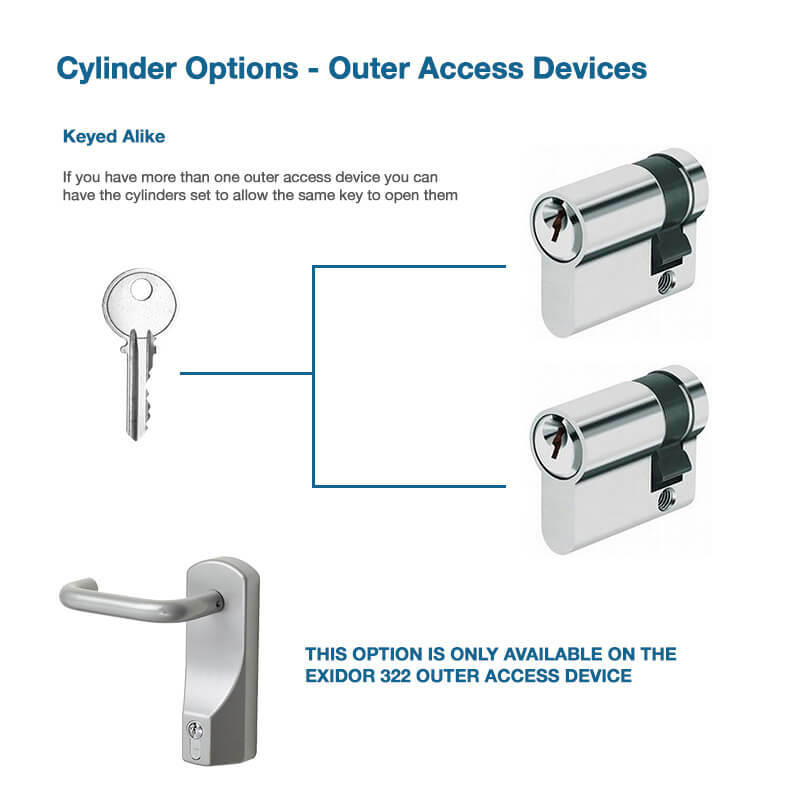 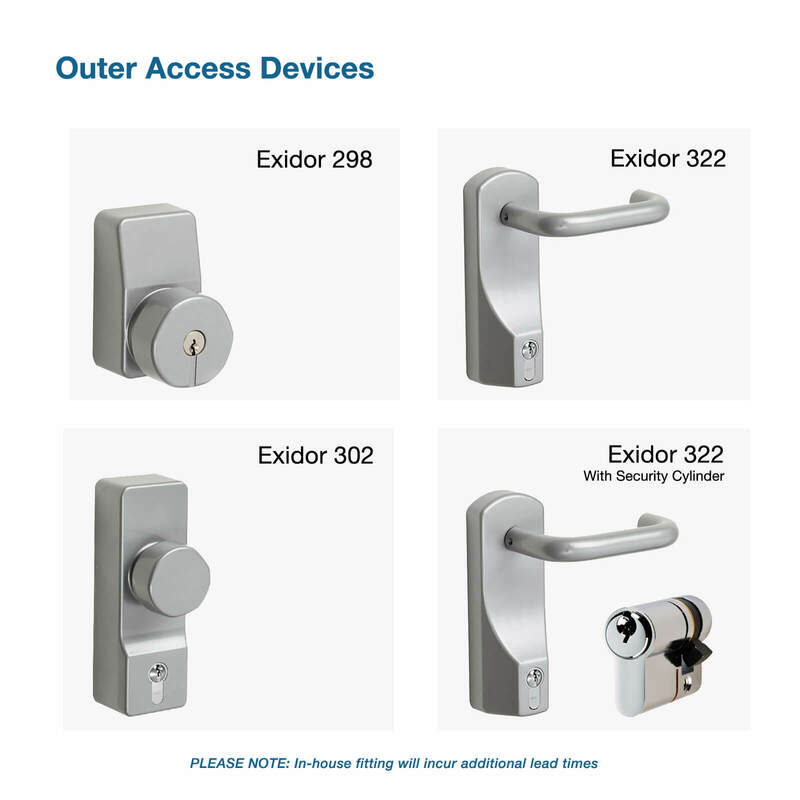 If you need external access too, we have a range of Exidor Outside Access Devices (OAD’s) available in stock including knob, lever and code lock options. 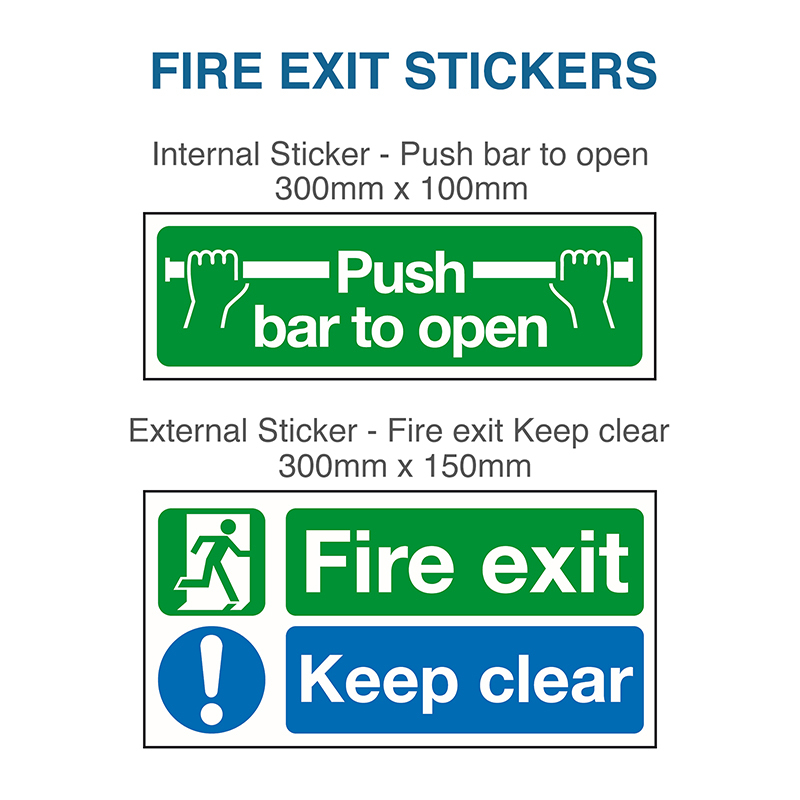 If you’re in a rush to meet fire regulations on your property, our fire exit doors are carried in stock and available for next day delivery via dedicated courier. 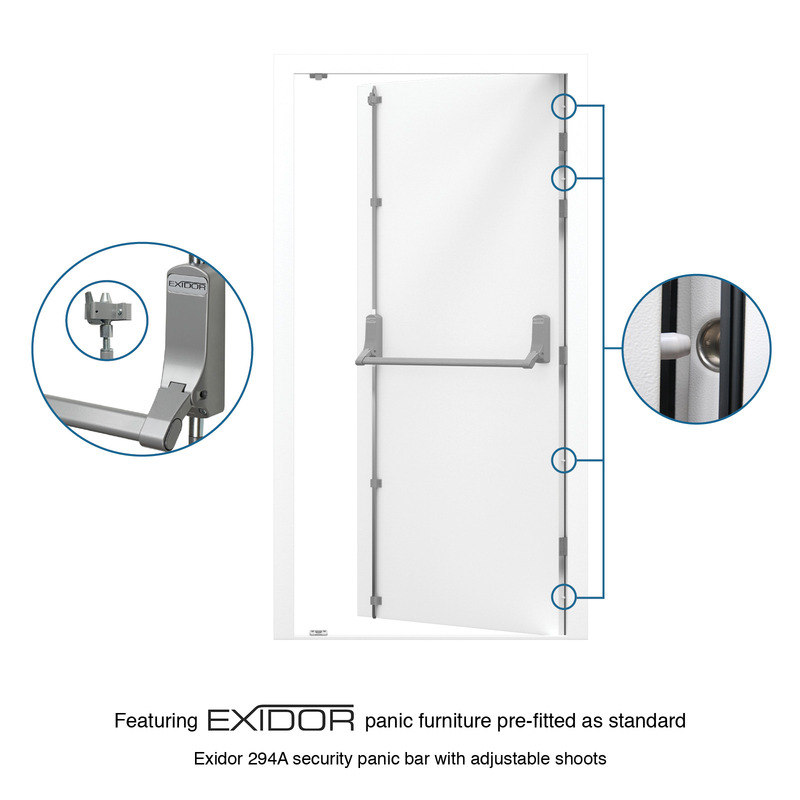 How many keys come with the emergency exit doors? 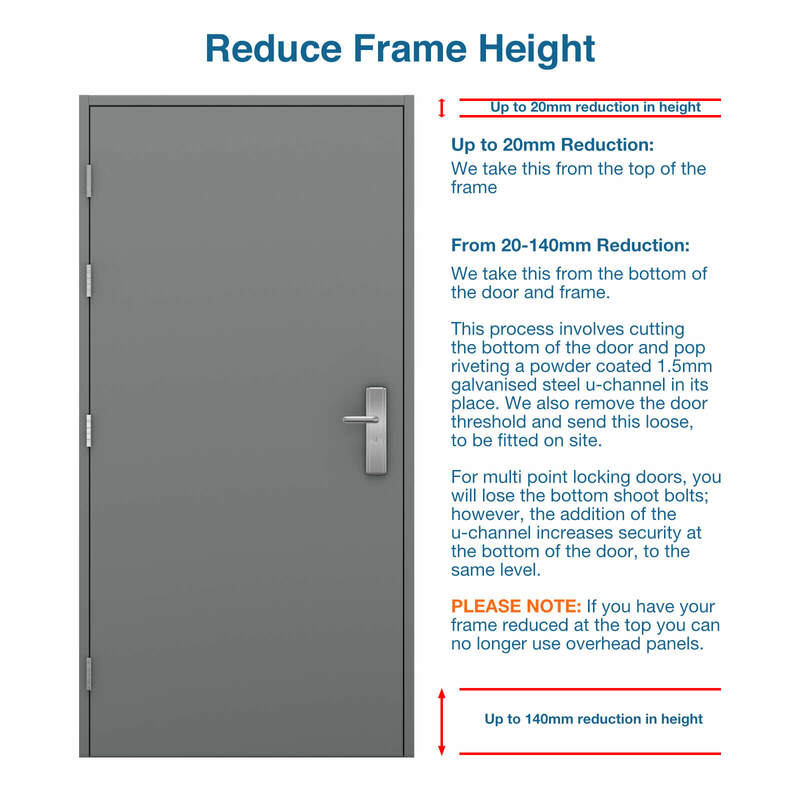 How much do the emergency exit doors weigh? 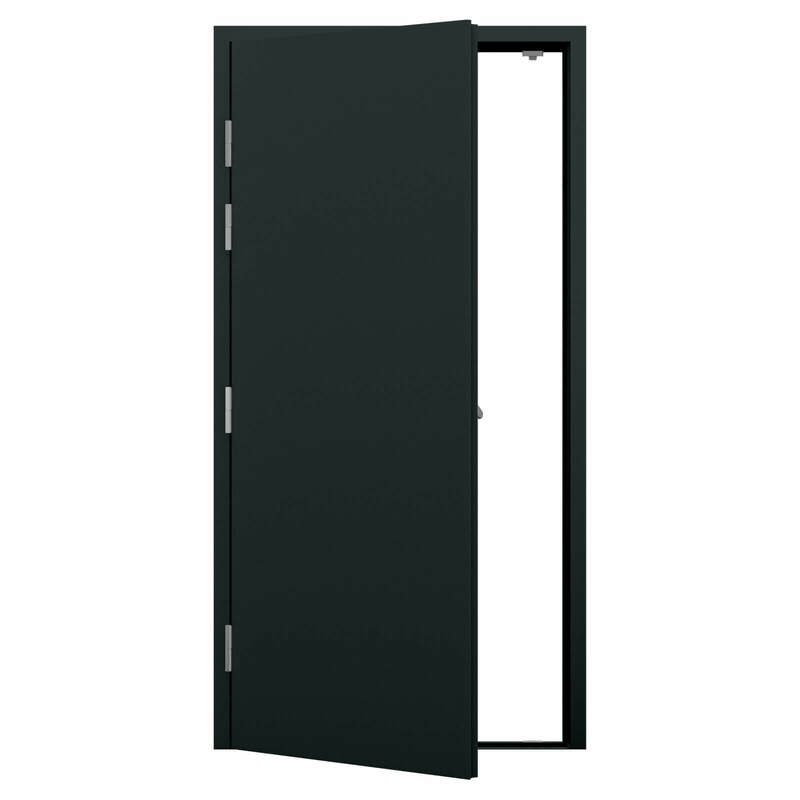 Can I order this door opening inwards? 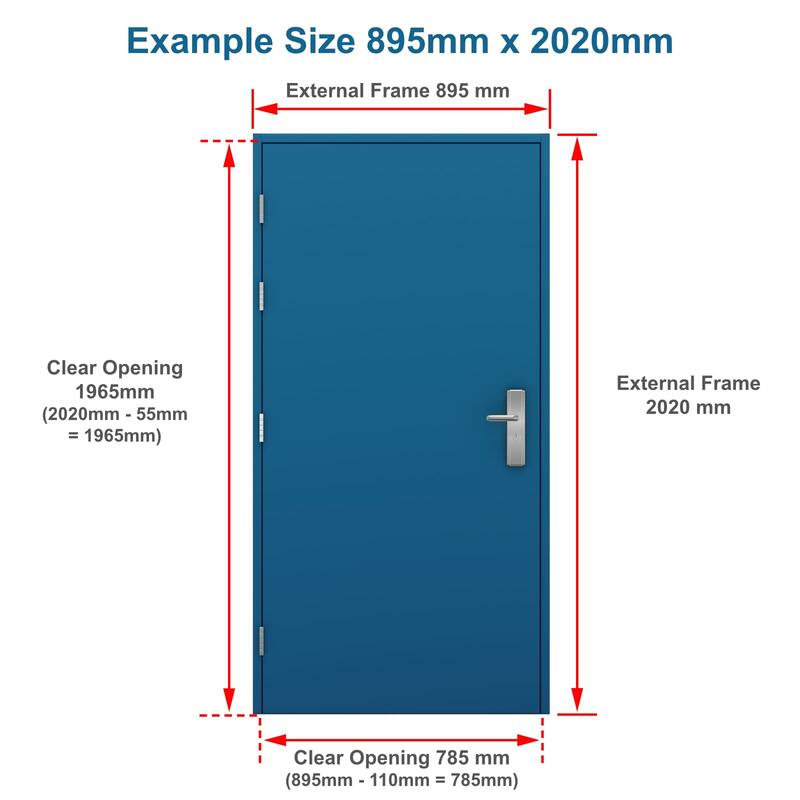 What are the door sizes? 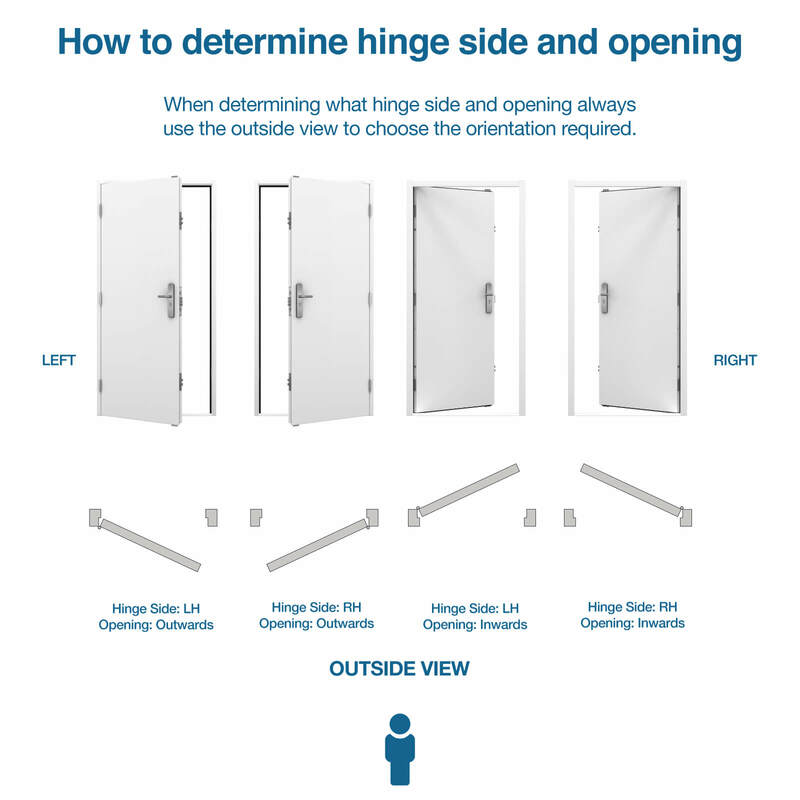 What is the clear opening? 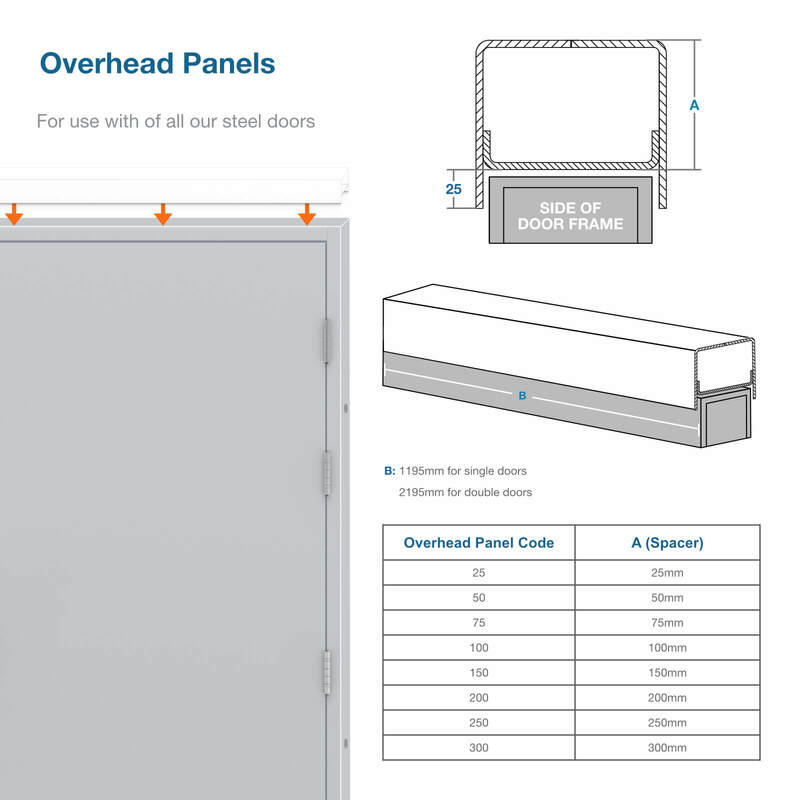 The sizes listed are external frame sizes. 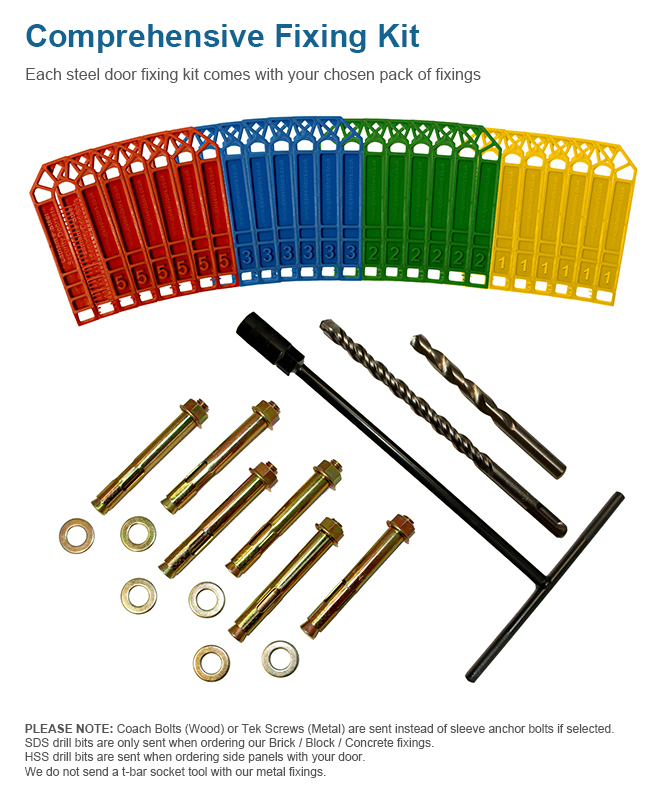 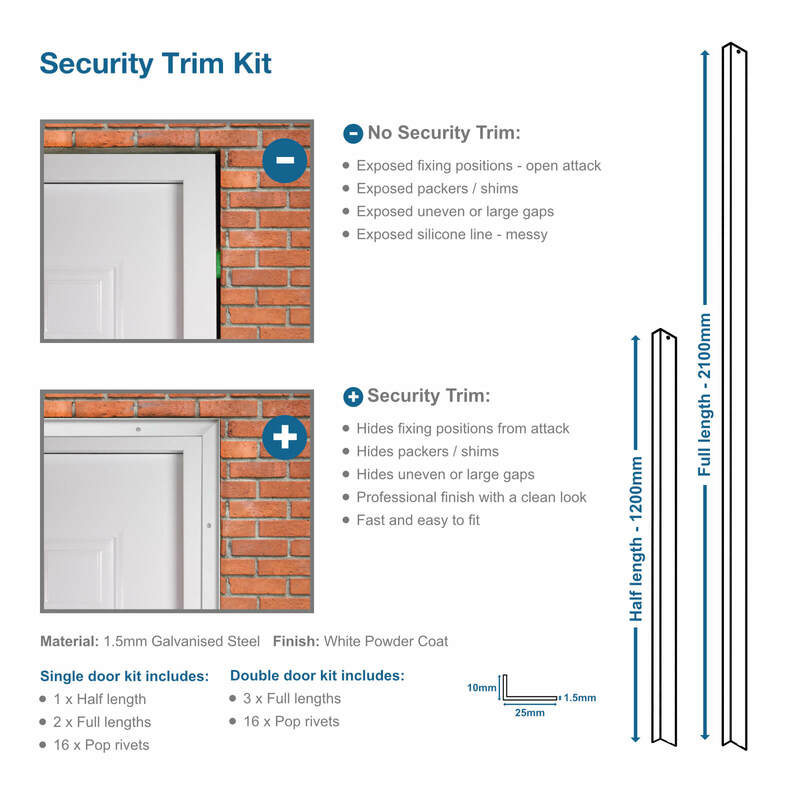 The security trim kit fits around the perimeter of the door frame, preventing any packing from being seen externally and making the door as a whole more secure. 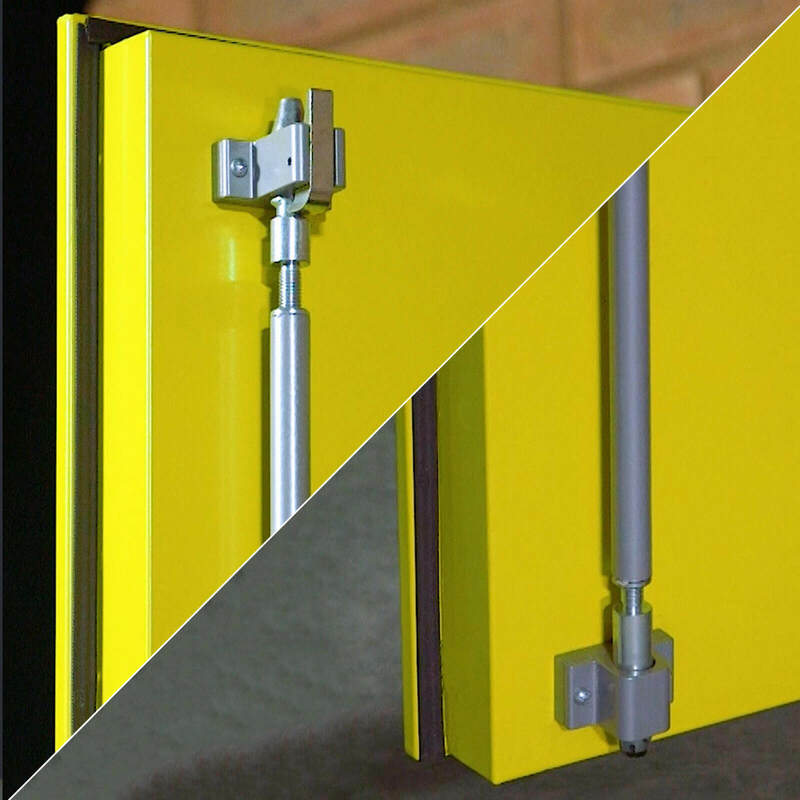 It hides un-level or large gaps, hides the position of fixings eliminating the risk of tampering from intruders and crucially protects the fixings from attack.